A client patch has been implemented during which we added multi-core support and improved the game’s server-client packet distribution processes. Currently we are at work to resolve further client crash issues and also have plans to provide a further optimize way the combat calculations are carried out in order to lessen the burden on our servers. We will continue with our efforts to make improvements and provide the optimum environment in which our players can experience the game. The dev team is currently at work resolving an issue related to the synchronization of player positions in the game. We are using client-side prediction and server reconciliation mechanisms in order to resolve such issues to provide the optimum PvP experience for our players. 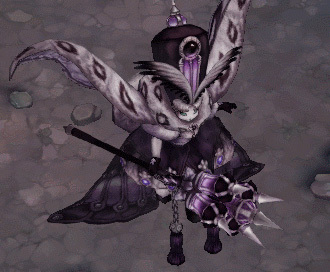 Currently, the content in which the players obtain end-level equipment is limited to the Velcoffer raid. Because of this restriction, many players who do not meet the requirements for the Velcoffer raid are barred from other end-game contents that are restricted by gear. We are planning to make it so that players will be able to obtain end-level equipment from the many different contents currently available in game. 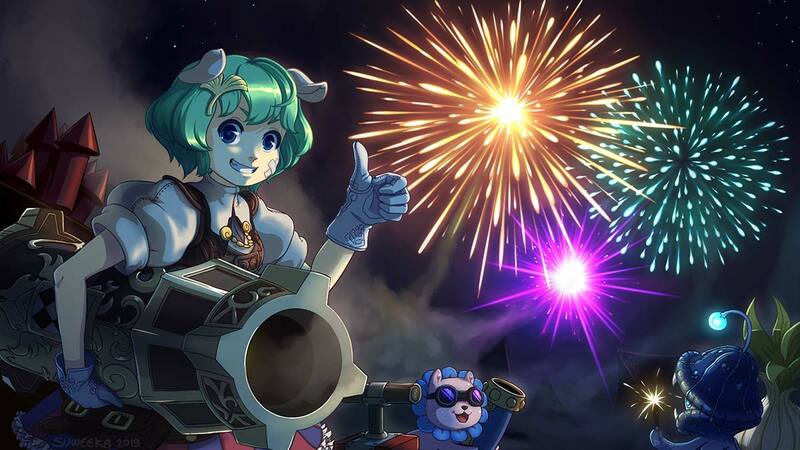 The dev team is planning to release a new party raid that further emphasizes class roles and tactics in the first half of 2019. Starting with the new Hunting Grounds, Irredian Shelter, the dev team is planning to introduce new HG bosses continually in the future. In the current state of the game, players cannot farm for end-level gear while in the fields. This means that there is no reason for our players to visit the most of the available zones in the game as it is pointless to do so. In the future, players will be given the chance to acquire end-level loot from field farming and also various materials obtained from fields will be implemented into the new casual game content, planned to be introduced later this year. Who knows what wonderful things you may come across while questing? 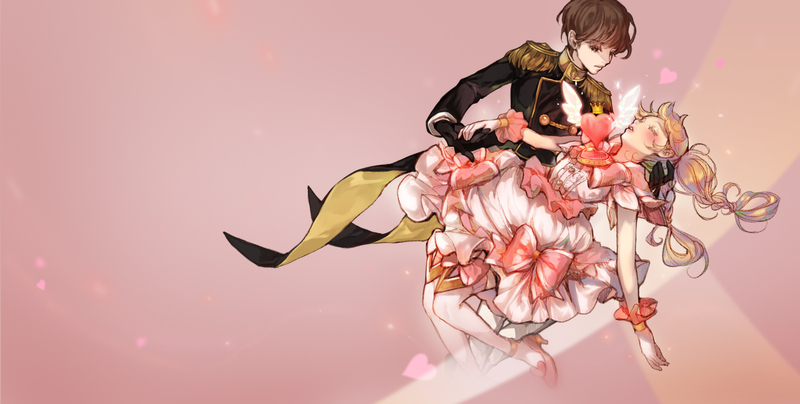 The dev team has come to realize that limiting entries to different raids and other contents by character is no longer valid because equipment can be shared between the many characters belonging to a single Team. This only causes repetitive gameplay and fatigues the player. This type of entry restriction also puts a lot of emotional pressure on the players because that players may feel that they have suffered a huge loss when not having participated in one of these contents. We are currently looking to improve our content participation so that entry limits are shared by all characters in a Team and to provide rewards that appropriately fit such changes in game mechanics. Our top most priority will be to improve on the existing contents. We will work at them one by one based on the usage statistics we’ve gained from our players. The dev team is also focusing on balancing skills and character builds for PvP. We will base our works on data gathered from players to provide a more balanced PvP environment overall. While currently in its beta, TBL is planned to feature various tactical objects that players can take advantage of to come out the victor. It will be run by seasons and rewards will also be improved on. The dev team is keeping a close watch in the current progress of GTW in order to provide greater immersion for players. While we are testing out the various items used in GTW, we are also tweaking the balance to make it so that it is more difficult for one guild to seize all three territories. Lastly, we are also looking to improve on the rewards that guilds can receive by participating in GTW by making them more fair and varied. We’ve had sports contents in the past but only as events. We are outlining ways of integrating one such content to be featured regularly in-game due to their relative success in the past. We hope to make a brand new content based around teamwork and tactics rather than combat. The dev team wants to create contents that promote a sense of pride and belonging that unite players in a guild. We want this not only in contents such as GTW but also by providing alternative casual content for non-competitive players as well. Many players hesitated from participating in guild contents because their rewards were not issued directly to the participating players. We are hoping to reform and create new guild contents that promote a more active participation on the part of the members with a new system that focuses more so on individual contributions. The new housing system will introduce various furnitures and accessories such as swings and other fun rides. The dev team is also planning to expand on the farming and other related contents. We are currently preparing archeology, collection, fishing and cooking as new casual contents. As we feel that it is a shame that the many of the game’s beautifully rendered maps remain unpopulated, our primary goal is to make the many field maps present in the game useful. Players will be able to take careers as archeologists, cooks and herbalists to explore every nook and cranny of the kingdom. While there are many different costumes available in the game, we still do not have the option to change the skin tone of characters. 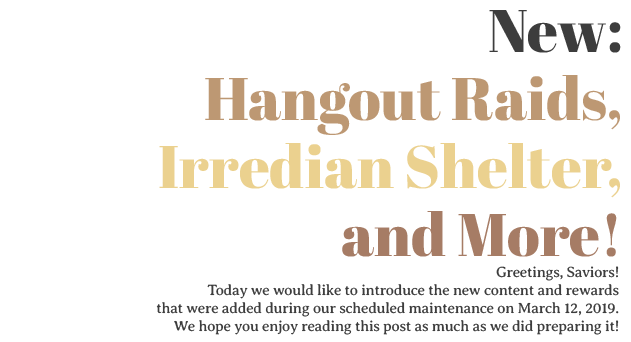 The dev team has currently completed developing the changing of character skin tone and the feature will be implemented into the game as soon as the final touches are made. The dev team has plans for two main quest updates for 2019. In the first of the two updates, 11 new areas will be added and the current level cap of 390 will be raised to 420. This update will include new main quests, subquests, around 40 new monsters, 7 new bosses and items. The next main quest will take place in the northern regions of the Kingdom, near the capital. 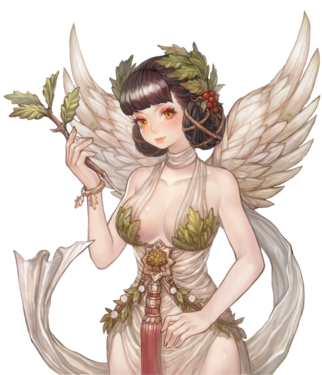 There, you will meet those who had been guarding the Kingdom’s walls during Medzio Diena, meet their hero and head to Parias Forest to help the Goddess Medeina defeat the Demon King Kartas. The dev team has plans for two updates, each introducing new classes to the game. Four new classes will be added in the first half of 2019. 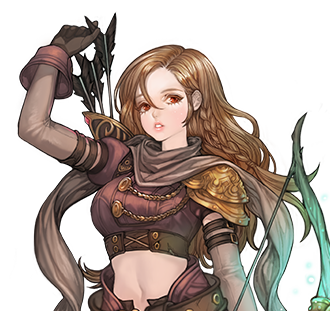 The detailed information on the new classes will be revealed later through our dev blog posts. 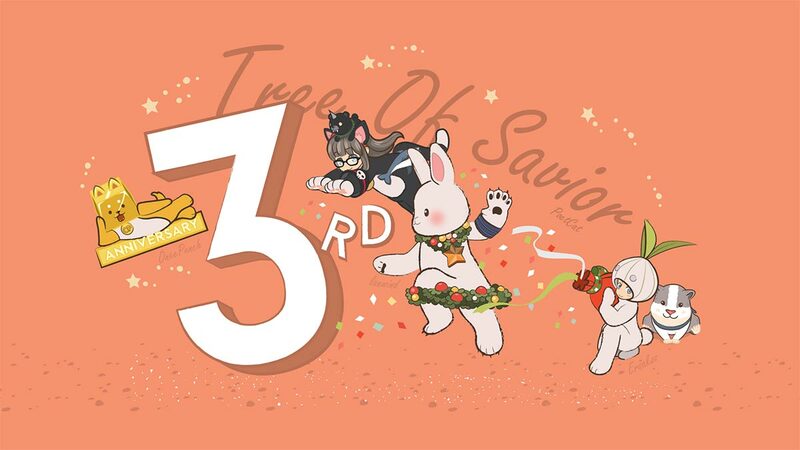 This is the Tree of Savior’s development roadmap for the year 2019. We hope that you have enjoyed the time spent reading this post. We will do whatever it takes to provide our players with a satisfactory service even more so than the previous year. 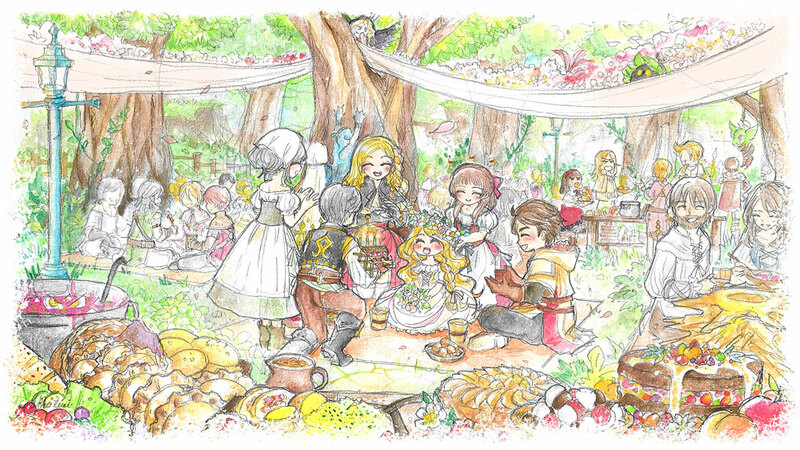 We sincerely thank you for your enduring love and support for the game. Q. The difficulty for the game increased considerably in the early testing stages of the game, but then lowered again. Why is this, and are there any plans in the future for the difficulty to be raised again? A. Yes, the difficulty in our test servers was very high at first. While we were aware of the feedback that the game was too easy, we wanted to maintain a balance in the game’s difficulty to suit both the newcomers and core players of the game. The difficulty was lowered for general field hunting because of this reason. We felt that the decrease in difficulty in this case was justified as the new players, who aren’t as well equipped, will be the ones who spend the most time in the fields. We wanted to make it so that these players did not have too much trouble progressing through the various quests. With this, the difficulty of the Challenge Mode has been lowered overall as well, but the monster attacks are definitely stronger at higher stages and there is no doubt that it will give seasoned users enough of a challenge still. However, two of the game’s features had their difficulty raised with the recent Re:Build update: Unique Raids and the Saalus Convent. The monsters found in these two places now have higher attack and HP because the two are intended to be party-based content. Before we move on to addressing our future plans for the game’s difficulty, there are two things we must let you know. The first is that, with the Re:Build update, we mainly focused on the player’s journey towards our current end-game content, in which a player’s build is completed with their fourth and final class advancement. We wanted to adjust the difficulty so that players did not face too many problems reaching the end-game while playing solo. However, we are looking to increase the difficulty of all content past this point in the game. At the current time, we are looking to have Lv. 400 as the point during which a player becomes reasonably equipped with a complete class build and attributes. The new level cap will be the point at which players will begin to feel like they can take on a new challenge with the game. There is no doubt that this challenge will be increased for all players with our future updates. Q. With Boruta being a large-scale GvG raid, players are worried about the content-exclusive rewards (i.e. Seals) being hogged by the larger guilds in-game who have a tremendous advantage when it comes to PvP. Is there anything that you have planned to prevent this from happening? A. The implementation of the Borutos Kapas GvG raid has been altered since it was first introduced in kTOS to prevent, as much as possible, the larger guilds from monopolizing the content. The biggest change is the starting time for the Boruta raid, which was changed from 6 AM to 7 PM during weekdays. The second would be the way in which rewards are given out for completing the Boruta raid. After a few weeks on kTOS, we have decided that it would be beneficial for all players to remove PvP as a way of earning contribution points in the raid and also have individual rewards extended to a maximum of 1,000 players. Also, the new Seal equipment will also be available through features that will be added later on in the game, so Boruta will definitely not be the sole source of Seals for players. Q. One of the biggest topics amongst Steam TOS players was that of rods and staffs. Many players on Steam feel that rods are much more overpowered when compared to staffs, and staff users feel that they are forced into using rods with the arrival of the Re:Build update despite wanting to use staffs. A. Currently our intent is to have rods as weapons that provide quick casting, and staffs as weapons with high attack. Before you say that rods are better than staffs, let’s have a look at the following facts. With Lv. 380 Unique-grade weapons, staffs have a 4320 MAG ATK value, while rods have 3600 MAG ATK. When transcended to stage 10, the difference in MAG ATK is increased to 1440. Also, socket-wise, staffs have 5 socket slots while rods have 6 sockets in total, 3 on the rod itself and 3 on the shield. So while rods do get one more socket compared to staffs, even with this taken into account the MAG ATK difference between the two weapons will be 1065, if both equipment items have full 10-star blue gems. 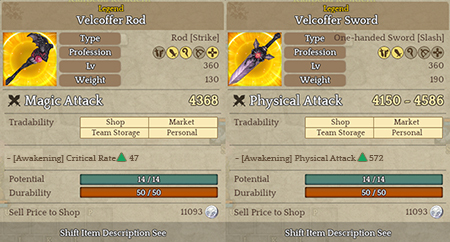 This difference in MAG ATK value increases even further with Legend-grade gear such as Velcoffer. Taking these calculations into account, we came to decide that the current casting time bonus with rods is sufficient in bridging the MAG ATK gap between the two weapons. Also, there are many skills in the Wizard tree that are instantly cast. From the available Wizard tree skills, there are more skills that are cast instantly than those that have a casting time. If a player’s build does not include many (or even any) skills that have casting times, the 50% casting time bonus becomes rather redundant and the only benefit that rod users enjoy in the end is that of being able to equip a shield in the other hand. Looking at the numbers and the general availability of different types of skills in the Wizard tree, we believe that the 50% casting time bonus for rods is reasonable. Nonetheless, there is always room for improvement and we will continue to keep our ears open to player opinions in order to make both rods and staffs an equally valid choice for players. The Guild Hangout Raid is, just as the name suggests, a new raid content that can be enjoyed in the comfort of your own Guild Hangout. 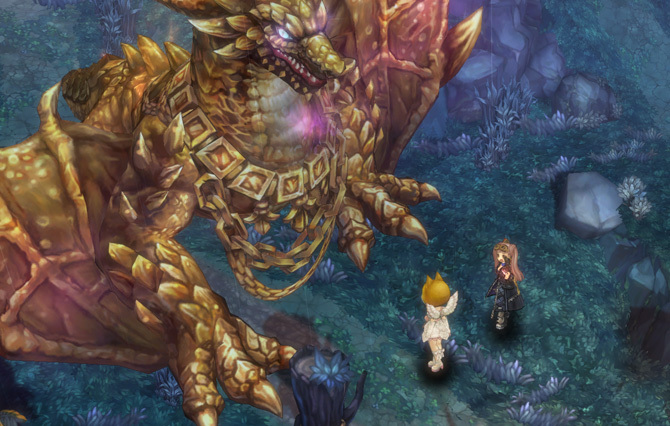 Players can now summon bosses in their Guild Hangout and join forces to defeat them. The three rulers of old Nicopolis had run the city with an iron fist as their influence grew. The Archmage Irredian had created a shelter for the citizens of Nicopolis to take refuge in. Preparations for siege and various experiments to create a magical barricade that blocks off Nicopolis from the rest of the Kingdom took place at the shelter. Q. There are far too many crashes in the middle of Gemstone Feud. A. We have had great results with stability updates in kTOS and the crashes have been drastically reduced for Gemstone Feud as a result. We are aware that the crashes have been reduced somewhat for Steam as well. We will continue to strive to provide a more stable environment for our players, not only in Gemstone Feud, but also in other available contents with the continued conversion of Lua scripts into their native code. Q. The rewards available for Gemstone Feud are great for the most part, but we believe there’s definitely room for improvement. There are too many different types of potions and they all weigh too much so the only real rewards available are the Blessed Gems. Would it be possible to introduce a leaderboard that keeps a record of players’ number of kills, gems collected and number of wins. A. We agree with the addressed concerns regarding rewards for Gemstone Feud and are currently planning to introduce new rewards that have greater utility for the players with future updates. However, with regards to the leaderboard, the dev team requires more time to investigate the possibility and the logistics of its implementation and will let you know via our announcements when progress has been made. Q. The greatest concerns players have against Gemstone Feud and other PvP contents is balance. Skills like Linker’s [Joint Penalty] deals massive damage in PvP environments without any real penalties. Players with camera addons have an unfair advantage because Gemstone Feud does not allow for players to zoom out like in Guild Territory Wars. Due to size of the map, builds with higher mobility have the upper hand when competing in Gemstone Feud. A. The focus on PvP balance is our top priority following the Re:Build update and we will continue to make adjustments to provide the optimum balance for our players. However, because this is something that can affect our players on a wider scale, we want to take cautious steps in announcing and implementing the new changes in order to avoid dissatisfying the general player-base. All we can do for the moment is to ask for your patience and understanding while we carefully plan adjustments of skills for the future updates. However, the skill factors of the many skills available in the game have undergone standardization to remedy this problem to a certain degree. Also, because there are players who make use of addons that give them an unfair advantage in the field of battle, we will be working to restrict these addons from being used in-game in due time without any prior notice. The particular addon that grants players control of the camera will definitely be restricted for use not only in Gemstone Feud, but also GTW and Borutos Kapas. Q.It feels way to difficult and way too long. The entry limit of 10 times a week tires you out very quickly. It would be good to have a selectable difficulty. A.The dev team is in the process of making improvements for various in-game content. Uphill Defense is definitely one of the content in the works and we have made it so that players can vote on a difficulty of either ‘Normal’ or ‘Hard’. The weekly entry limit will also be reduced to 4 times instead of 10. Q.All anyone wants from doing Uphill Defense is Gem Abrasives. Other rewards are OK too, but they’re not worth much compared to Gem Abrasives. Potions only take up the carry weight so people tend to just throw them out. How about adding items like EXP cards as reward so new players can level faster? A.We plan on making Uphill Defense the primary source of Gem Abrasives for players following the Re:Build update. As for character growth, EXP cards will have to be earned by completing quests, but we will work towards adjusting the amount and level of the cards for maximum efficiency. Q.At the current state, the game becomes very unstable when all 5 participating players are gathered in the middle of the map to defend the torch from monsters. A.Optimization processes are being implemented rather successfully following Re:Build. We assure you that many of the problems regarding stability of the game will be resolved in due time. 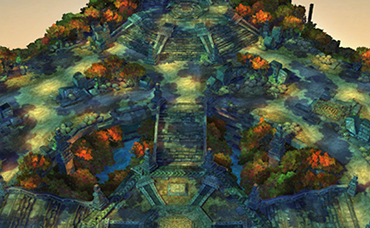 Q.Usually, three players take each of the three spawn points of the map instead of fighting monsters off together at the center. However, the remaining two players spend most of their time standing around. One of them ends up being in charge of opening the reward chest. Rewards should be issued automatically instead of players having to open up the chests manually. Nobody wants to be in charge of chests. Introduction of boss gimmicks should be fun to mix things up a bit as it does tend to get a bit monotonous. A.The current changes made to Uphill Defense is so that waves of monsters spawn taking turns from either to the left or to the right of the center torch. 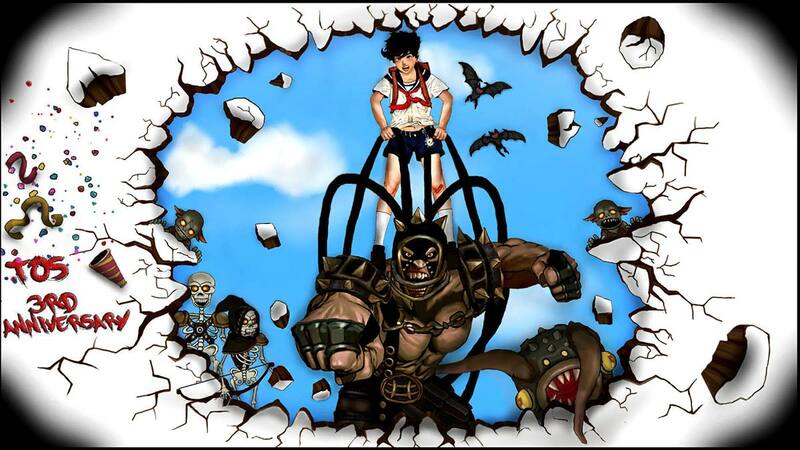 The difficulty has been adjusted to make the monsters more powerful, so players may find it more challenging. The introduction of Lapemiter as a gimmick monster should be enough to keep players on their toes. The rewards will no longer be given every time the level is cleared, but will now be replaced by gem abrasives and Uphill Defense Shop points. The gem abrasive will only be awarded when players reach and complete the final 15th stage, but you will still be able to use the points you have earned for gem abrasives at the Uphill Defense shop. We have also added new potions that can help players in completing all the stages of Uphill Defense. Q.There were worthwhile EXP rewards, which were quite satisfactory. Silver and accessories were also useful rewards that players could put to good use. Map and quest designs were great overall, but it was sad that there was no reason for players to revisit the areas after the quests were done. Players do go back to the Rank 10 areas to farm materials for Ignas/Asio/Wastrel gear, but it’s easier for the players to obtain them through the market. The quests were great, and so was the music, the puzzles and the level design. I’ve seen some players who were lost as to where to go. I know they should have read the announcements/patch notes, but still it would be helpful to have a portal that grants easy access to the newly added areas. A.The dev team has been aware of the feedback that players who prefer to do quests over farming field mobs had a relatively more difficult time in leveling their characters. We wanted make it so that players could enjoy the game’s storyline as well as grow their characters at the same time. As a result, we added various useful equipments and silver as quest rewards to assist budding players participate in the end-game economy. This trend will continue in the soon to be revealed Episode 11. New introductory quests will be added prior to the actual content update to give the players a taste of things to come, as well as provide easier pathways to new quest areas. The difficulty of the boss monsters will also be tweaked in the future. 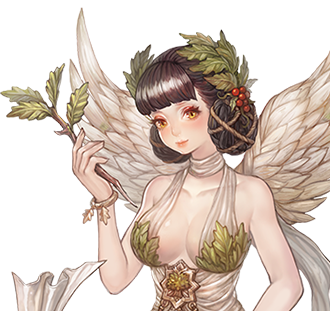 We are planning to have the bosses that the player faces in the quests to be a preview of later raids and a chance for them to study the boss’s strengths and weaknesses. Q.Borutos Kapas is an interesting addition in theory, but the fact that the main portion of the content is PvP oriented is enough to turn players away from participating. The same goes for PvE as well, but it is especially frustrating in PvP when you lose because of server lag or client instability. 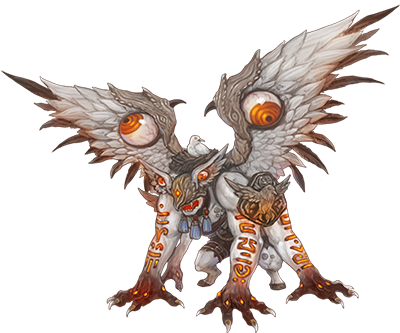 A.Borutos Kapas was produced as a world event field boss, different from the Velcoffer or Ignas raids that can be cleared in less than an hour. This is why many of its rules were designed to favor guilds that are more actively and strategically involved in its content. We have had concerns for client and server optimization from the early stages of development for Borutos Kapas. 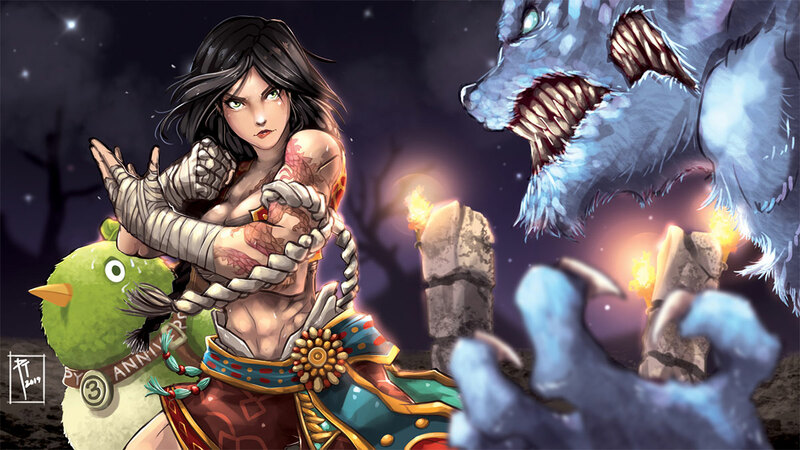 We have worked hard in providing improvements for both server and client and feel that we were somewhat successful in providing a stable environment for large-scale PvP content such as Borutos Kapas. However, we do admit that there is still room for improvement and promise that we will continue to put in the work to improve on the various technical aspects of the game that still needs optimizing. TPP : Would you like to introduce yourself to our readers? rjgtav: Hello! 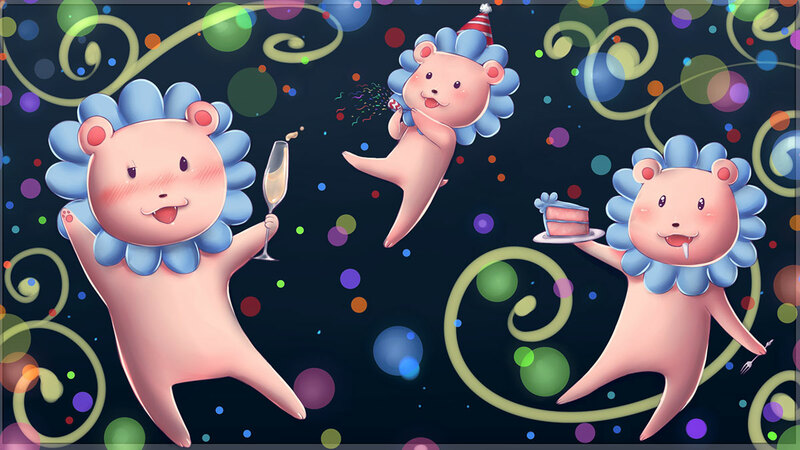 First of all I'd like to thank you for inviting me, it's an honour to participate on the Popolion Post. I loved reading every issue so far! I'm Ricardo (also known online as rjgtav) from Portugal, and I'm a casual player from Fedimian. However, you may know me better for being the guy behind TOS.GURU. TPP : Could you tell us more about TOS.GURU for our readers who may not be familiar with what TOS.GURU is? 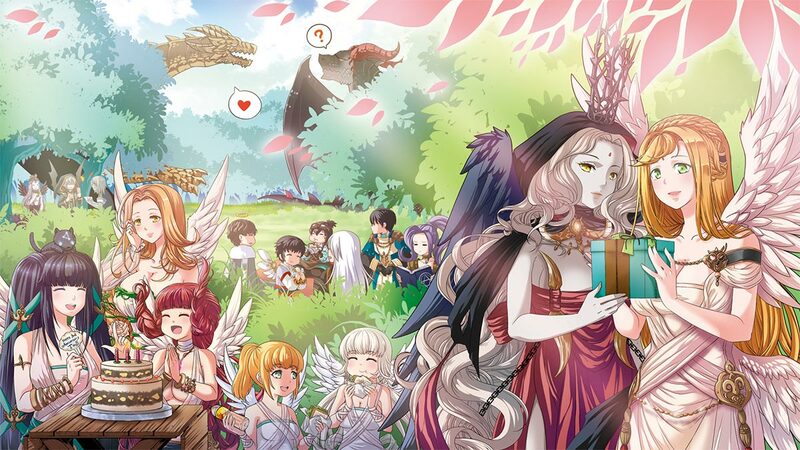 rjgtav: TOS.GURU is a new and open-source database for Tree of Savior, which is still under active development. It currently contains information regarding Attributes, Classes and Skills plus Books, Cards, Collections, Cubes, Equipment, Equipment Sets, Gems, Items, Recipes and Monsters. Besides being a database, it also provides a build simulator for players to test out different builds. Everything has already been updated to the Re:Build patch. Also, in terms of regions, TOS.GURU supports iTOS (Steam), jTOS (Japan), kTOS (Korea), kTEST (Korea Test server) and twTOS (Taiwan). Feel free to ping me in case you want me to add another region! TPP : That sounds very handy! How did you come to decide that you wanted to create a database for TOS? What was your motivation behind starting this project? rjgtav: It all started one day when I caught a post on Reddit mentioning that TOS.NEET had stopped updating around July, 2018. 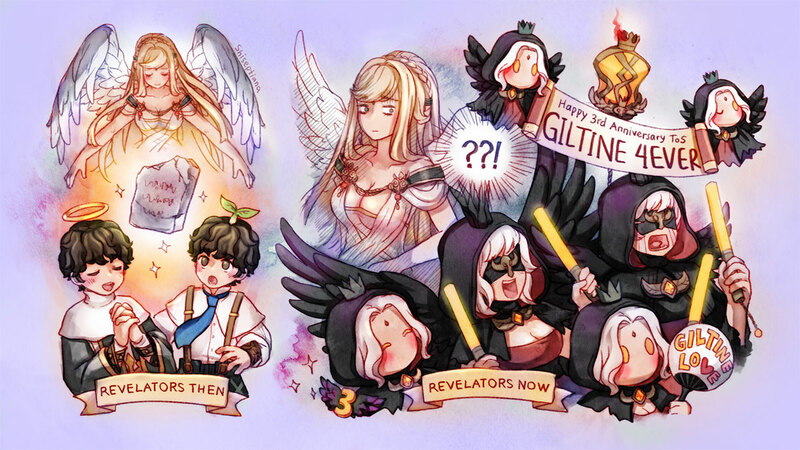 I was taking a break from the game back then, but it touched me seeing that even the staff (kudos to STAFF_Bob) were worried and they were trying to contact the original author. TOS on Steam had always suffered from some lack of communication issues but in 2018, in particular, that was improving a lot. At the time, I was looking for a new project idea in order to learn some new tools that I needed for work (Angular 6 and TypeScript in this case). One day, when chatting with a friend I wondered whether I could build a database for TOS as a learning exercise. After googling around for a couple of days, I found some projects on GitHub which provided the tools for decrypting and extracting the game files and, in a couple of weeks, I had managed to build a small demo for processing some datasets... And the rest is history! TPP : So you were not an active player when you started working on TOS.GURU? When was it then that you first began playing TOS? rjgtav: I believe I started on the 2nd CBT for Steam back in the days when founder's pack DLCs started at just 10 euros. I came across TOS via a YouTube trailer, if I'm recalling correctly, and I immediately fell in love with the art style, which looked so different from what I was used to in terms of both the character and the world design! 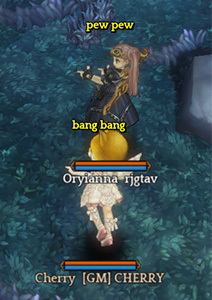 TOS also introduced me to MAGGI, the art director for the game, and I became a big fan of all her work. I highly recommend everyone to follow her on Twitter for some additional art pieces. TPP : Yes, we agree with you. 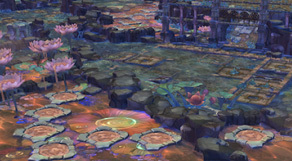 The art is arguably the most eye-catching feature of the game for newcomers. Was there anything else about the game that you were drawn to? rjgtav: Besides the art, I also love the soundtrack of the game. 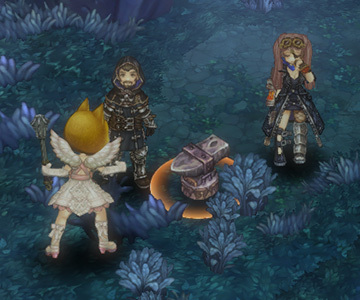 It's not often that we get to listen to some great trance music while farming some Vubbes in the mines. I love that IMC keeps releasing new soundtracks with every new episode and every new class. And finally... Along with the unique class system, I'd like to highlight the gameplay and the overall combat. Controlling the character and killing mobs has something very satisfying about it in this game. TPP : Let’s get back to talking about TOS.GURU. With TOS.NEET’s recent comeback, I’m guessing TOS.GURU has some serious competition. What are your thoughts regarding this? rjgtav: Well, I must confess, initially I got a bit worried as TOS.NEET is a much more complete and reliable database than TOS.GURU. I was afraid everyone would leave as soon as the news got shared around. Some weeks have passed since then, and interestingly the usage of TOS.GURU doesn't seem to have been affected as much so it seems like TOS.GURU has enough to differentiate itself to remain on the market as an alternative. Since then, I've also received some wonderful messages from players showing their support, which gave me additional motivation to continue with my project. Looking back now, I can say TOS.NEET's return helped take some weight off my shoulders. Previously, I had always been under some pressure in order to implement all the missing information as soon as possible, which led to bugs and messy code in some sections. As a result, I can now focus on what makes TOS.GURU stand out, like a more polished UI, being open-source, serving more regions of the game and constantly taking player feedback into account during the development. TPP : Are there any other conveniences apart from the features that you have already mentioned? Also, could you give the readers a sneak peek at what’s in store for future updates? rjgtav: Besides being open-source and having a more polished UI, TOS.GURU offers a dark theme and it also works when you’re offline so you can keep theory-crafting on the go. It is also available as a Progressive Web App, which means that it can be installed via your mobile web browser instead of downloading it from the iOS/Android stores (it will be available in the app stores as well later!). Also, TOS.GURU directly uses the game formulas and scripts for features like skill damage and attribute unlock, which leads to a more accurate simulator. 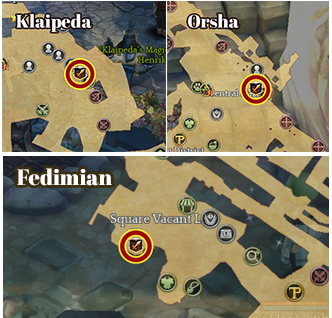 Regarding the roadmap, I am currently working on adding the Maps and NPCs datasets and I’m taking inspiration from the other major databases: the ability to view each NPC’s spawn position (like TOS.NEET), a user-friendly minimap with icons for things like collections, statues and NPCs (like TOSBASE.com) and a proper world map (like TOSCAMP.com). Afterwards I’ll be working on adding Buffs, possibly Quests and I’ll continue working towards closing the gap between TOS.GURU and TOS.NEET. TPP : Care to explain why your character is only 180? We are not pleased! rjgtav: Hahahah. My highest levelled character is level 339 and I have another one at level 327. 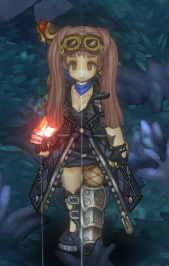 However due to Re:Build, all characters got reset, and currently this is my only character with a presentable outfit. IRL I’m working on my thesis, working full time at my job and I spend most of my nights working on TOS.GURU, which leaves me with barely any time to play. I can’t wait to get back to playing the game! rjgtav: Hahah thanks for having me! 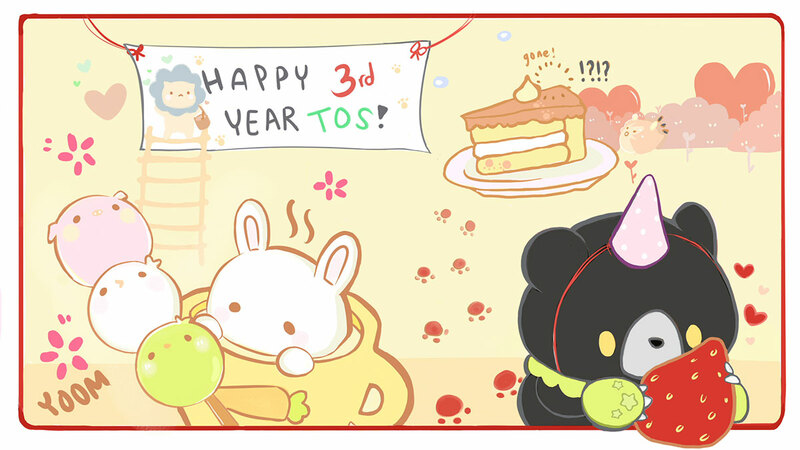 Let's all work together towards making TOS a great success for the years to come! If you have any further question or feedback regarding TOS.GURU, Ricardo can be contacted through the official TOS forums (@rjgtav1), reddit (@rjgtav) and TOS.GURU's Discord. Episode 11 will include 11 new areas, new NPC’s, new monsters and demon lords. The current level cap of 390 will also be increased to 420. The Astral Tower awaits your return. You will carry on the legacy of the Astral Tower alongside the surviving Schaffenstar members and Lakers in Barynwell 27 Waters. The outer walls that protected the Kingdom’s Capital had worn down following Medzio Diena. The brave soldiers that manned the walls had gone missing and only the wounded survivors remain within the wall’s limits, hidden away from the prying eyes of demons. The story of the Kingdom’s survivors start here at these very walls. Despite being under the watchful eye of the Demon King Kartas, the Goddess Medeina has decided to reveal herself to the Savior in order to pass on the Last Revelation. The Demon King Kartas is scheming to bring Medeina, the Forest Goddess, under his captivity behind the Demon Goddess Giltine’s back. 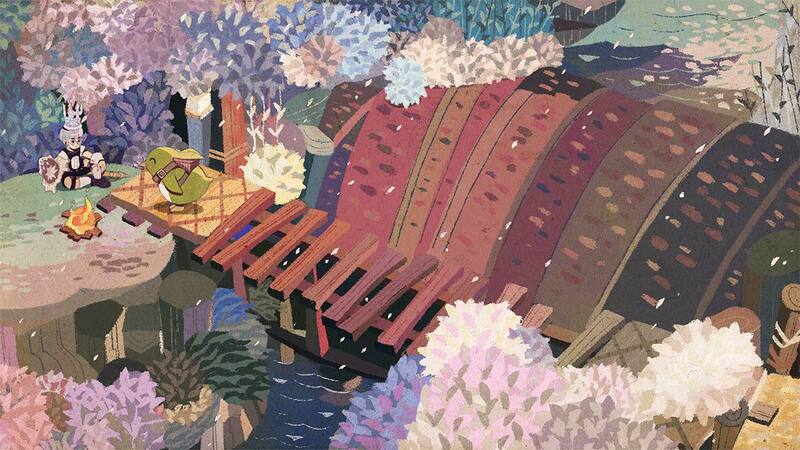 This story unfolds in the northern regions of Parias Forest. The dev team is aware of the feedback that there should be better ways for the players who want to immerse themselves in the TOS world to level their characters, not having to resort to hunting the fields. We wanted to make completing quests a worthwhile investment for our players by providing equipments and items that will assist their characters in reaching the new level cap. This feature had been implemented previously with the Re:Build update and we will continue to do so with our future updates as well. Pajauta is the new NPC who has saved the people from the wrath of Medzio Diena. 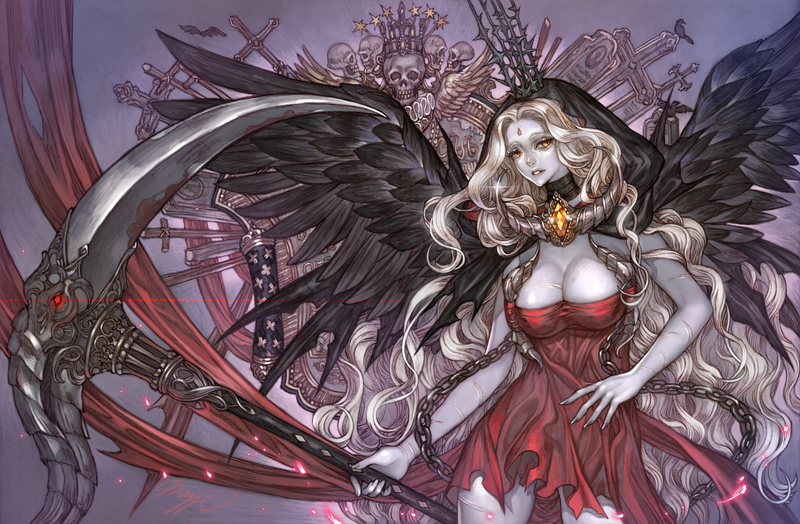 Even before Medzio Diena, she had played a major role in the investigation of demon cults and many other problems that plagued the Kingdom behind the scenes. Some had even went as far as to call her the second coming of Lydia Schaffen, but in the end she had given up all hopes as the situation in the Kingdom got worse after Medzio Diena. In her moment of despair, she had heard news of the Savior and set out to find you in order to ask for your help in returning order to the Kingdom’s northern regions. The dev team has prepared a prerequisite quest for Episode 11 to help players ease into the new content without too much trouble. You will travel the northern regions of the Kingdom with Pajauta at your side and she will guide you towards the last revelation. New demon lords await you in Episode 11. Players will be able to preview the attack patterns of the new raid bosses while playing through the new quest lines. Legend-grade items can now be acquired through many different contents. This will reduce the time and effort it takes for players to reach the level at which they can partake in the game’s most densely populated contents. Players will still be required to upgrade their items, but we will now provide a larger variety of ways in which the base items can be obtained. Players will now be able to obtain Legend-grade equipment by hunting monsters in the fields. 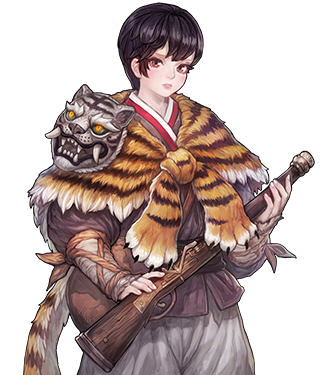 Monsters will drop the materials required in crafting the new Legend-grade equipment and the crafted equipments will be given random stats. The set bonuses will be predetermined and new equipments will be categorized by different attack properties. The materials required to craft items earned with previous raids had to be earned in the fields. The abundance of the materials were high in comparison to the actual drop rate of the recipes because they could be obtained relatively easily through Challenge Modes, which made the Raids feel more like a grind. The new raids will be developed so that they drop legend recipes, unique recipes and finished legend items that can be traded. 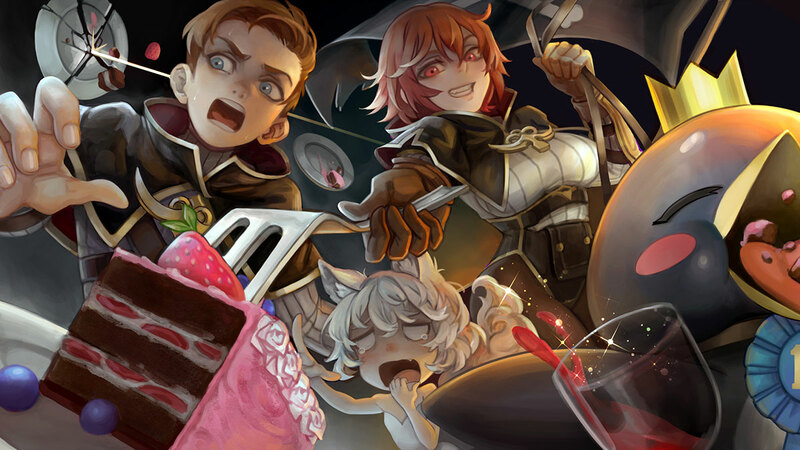 Also, the required materials for crafting new equipment from acquired recipes will be reduced as to make the process quicker. Field Bosses provide a competitive PvE experience for players. However, they have not been of great importance because of the reward system that is based on the grade of the Field Boss and lacking reward content. 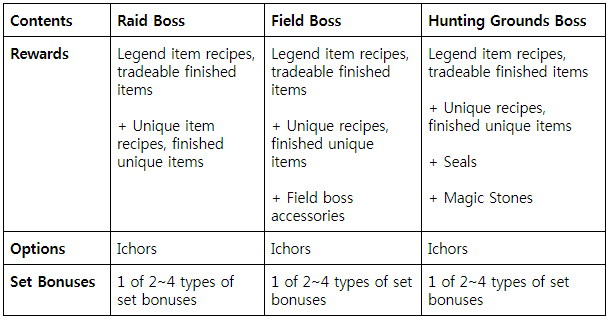 We are planning to introduce new Unique ~ Legend grade items as Field Boss rewards with set bonuses that are different to the equipment acquired from general Raids. Seals, magic stones and various tradeable Unique and Legend-grade items will be provided through a 1:1 battle with the Hunting Grounds Bosses. The difficulty of the new bosses will be much higher than the bosses available in Irredian Shelter. 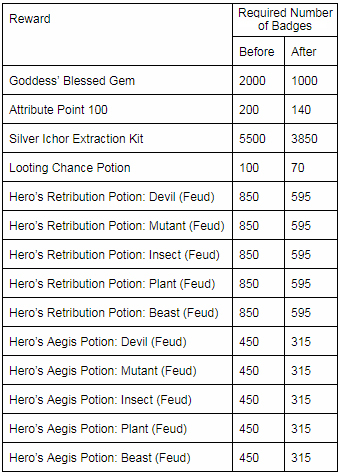 The items below the Unique-grade can be used to extract Ichors, while 2-4 different types of Legend-grade set bonuses will be available for each of the different content. Transcendence of items below the grade-level of Unique will be lowered. Players have a difficult time in deciding whether to transcend their Unique weapons or not since Unique weapons are currently considered to be weapons that will eventually discarded. 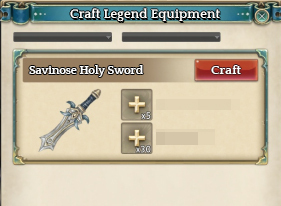 Unique weapons will now come pre-transcended. Unidentified items will vary in their initial transcendence level by random and items crafted from recipes will have a set base transcendence level, and, of course, players will be able to invest in these items to transcend them even further. The upper-level raids will have their entry limits increased and have different requirements or rewards to compensate for the changes. 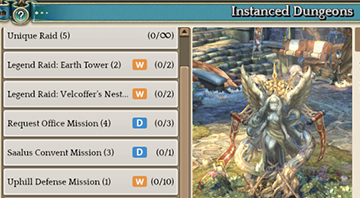 For example, if the Velcoffer raid can be entered 2 times per week per team, its reward will be increased by nX fold. Not only will the rewards be increased, but the finished items and recipes acquired in the raid will also be made tradeable. The raid rewards will also not be issued via cubes but from treasure chests that players can open after they have defeated the raid boss. The maximum values of the random stats that appear upon identification will be increased as well as the increased occurrence of useful options such as increased critical rate. You can use additional materials at the Alchemist shops to add Awakening bonuses with greater effects.